Cake is tasty & puts people in a good mood. It's better than your system of government. And so was Zasu Pitts. Exept for 9:34 to 9:35, on the 24th sunday of the year, at that point in time, all cake mysteriously turns into salad, oh noes!!! Luckily, it's only for a minute once a year, phew! Most people are lazy and will only eat cake therefore need to be told to make cake. This task falls to the monarch in charge of the people. 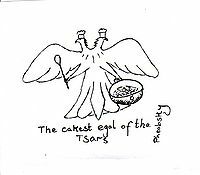 Nonetheless, the monarch must also be able to make cake or we're all in trouble (see The Russian Revolution). This is the most successful, effective and, widespread form of Cakeism. Tir na nOg: BC? To AD? Cake is the only path away from eternal Damnation. Run by clerics known as paster-yshefs who have absolute say over all aspects of life and cooking. Incidentally the reason that the Aztecs kept executing people is that they decided that people needed to put more devotion to cake by laying down their lives so their brains could be made into icing. They are deadly enemies with the Pieist's, members of Pieism. 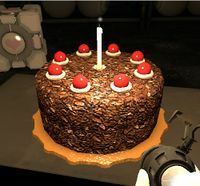 A cake bomb-device often used by annarcho-cakeists to get the point across. F### you I’m going to make cake! This movement favours the individual cake maker but is impractical as the ingredients run out pretty rapidly. When not in power the participants in this movement bake explosive cakes/cakes with nails in, and then throw them at the general public. Due to the popularity of this activity a vote is being taken to decide if it should be introduced to the Olympics. We are all equal, let us make cake together! The flaws in this one have been pointed out in monarchical Cakeism: PEOPLE ARE LAZY; one person ends up doing all the work. Nonetheless both Lennon & Lenin gave this type of Cakeism a bit of thought. The only god is the Holy Cake. All cakes are descended from this Holy Cake. The moon was made out of cake, but went mouldy and turned into cheese. Salad is banned. People who willingly eat this are SHUNNED for all eternity. NA-Cakeists are suspicious of bread. Close to Pieism. If they can't find cake (or fish cake), they will try to find some pie. 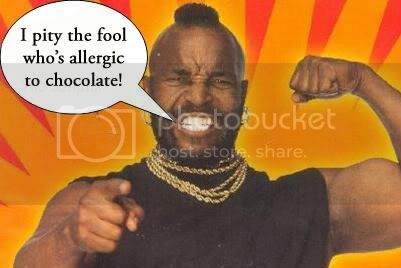 Eating a lot of cake, without sacrificing some to the Holy Cake, results in painful punishment known as "Indigestion". 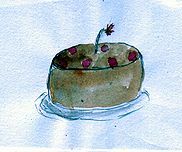 A typical 500AD new-age cakeist painting depicting the Holy Cake. Note the primitive "cake gun". Movements such as the Holy Cake Movement (on Steam) follow similar principles. Portal. To show how awesome cake is. -BC2963 the concept of Cakeism was put forward in Descartes "Meditations". -BC1969 Cakeism becomes the system of government in ancient Britain under Boudicca. -0 Cakeism suffered its greatest blow: people were following some character who was stuck on a cross! 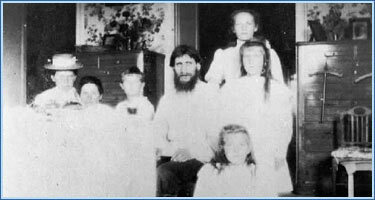 -BC242 Russian monarchy takes up Cakeism under the guidance of Rasputin. -AD1257 Aztecs discover that cakes are best made with human hearts and build pyramids to prepare the ingredients. Incite revolution in your compatriots/co-workers/miscellaneous people. Incite revolution in your compatriots/co-workers/miscellaneous people while hiding behind a sofa. Invade --insert country name-- for a day.